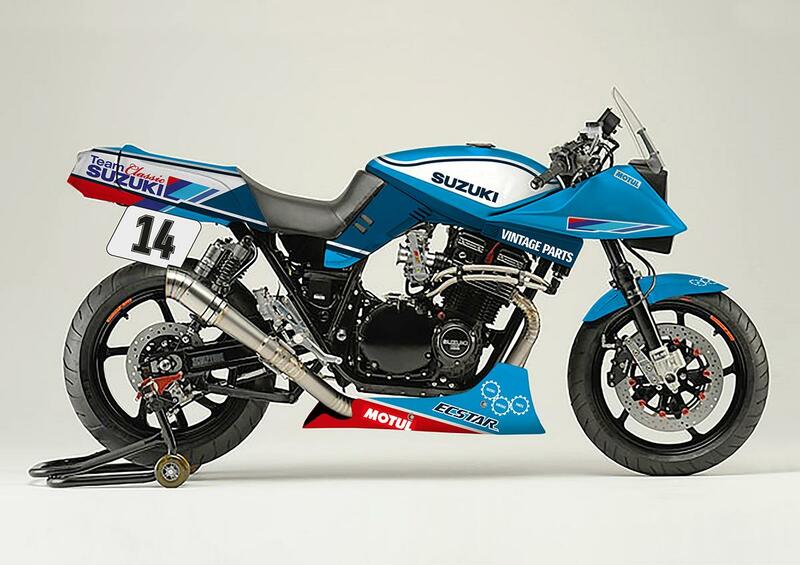 Suzuki GB will be building a Suzuki Katana to use in classic endurance racing in 2017 at this year's Motorcycle Live. The GSX1100SD Katana will be raced in the four hour Endurance Legends event at Donington Park in May 2017. The bike will be built using parts from Suzuki's extensive Vintage Parts Programme. In previous years Suzuki GB have built a TL1000S and GSX-R750 from scratch at the show, but this year's Katana will be the first race bike to be built. Suzuki GB aftersales co-ordinator, Tim Davies, said, "This will be the third bike build to take place on our stand at Motorcycle Live; the TL1000S was our first and we celebrated the GSX-R750’s 30th anniversary last year with a restoration of an original F model. Both of those builds highlighted our commitment to our Vintage Parts Programme, but this year we’ll be stepping it up a notch with the race bike build. While we’ll be using plenty of parts from our programme, there will also be lots of performance and tuning parts being used, so it will be a really interesting build for show-goers to see develop and take shape. "The classic racing scene is continuing to grow, evident by the increasing interest and popularity surrounding events such as the Classic TT. We backed Team Classic Suzuki this year, and enjoyed success on the Isle of Man with Michael Dunlop winning the superbike race. Hopefully we can look forward to some more success next year with our entry into classic endurance racing and the Endurance Legends event in May." Motorcycle Live runs November 19-27 at the NEC, Birmingham.